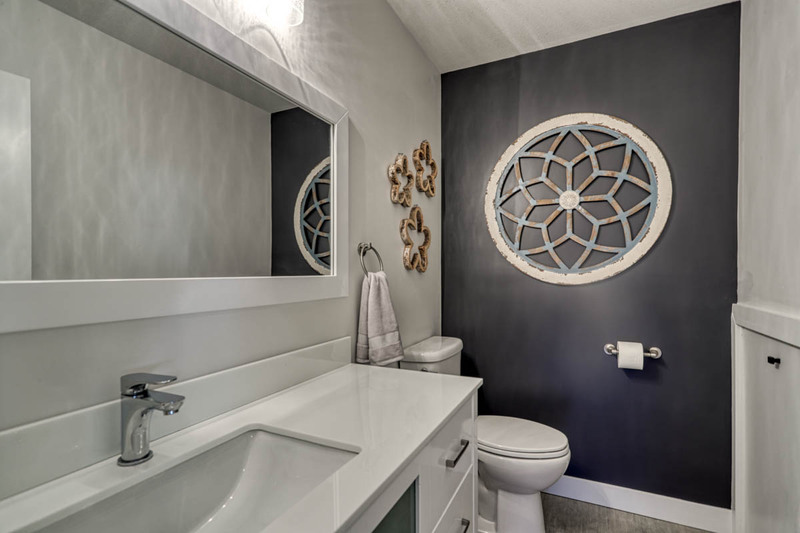 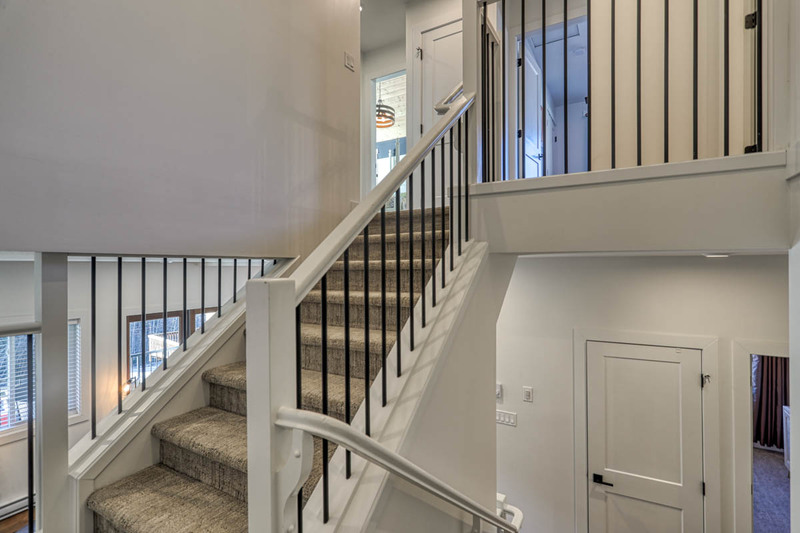 This spacious home is absolutely in pristine condition with 3 bedrooms plus den, two and a half baths over three levels within a welcoming building with 5 units. 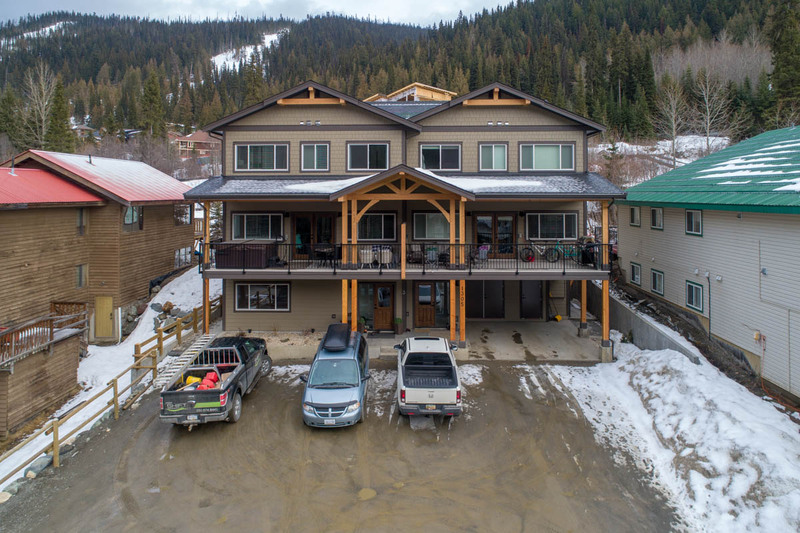 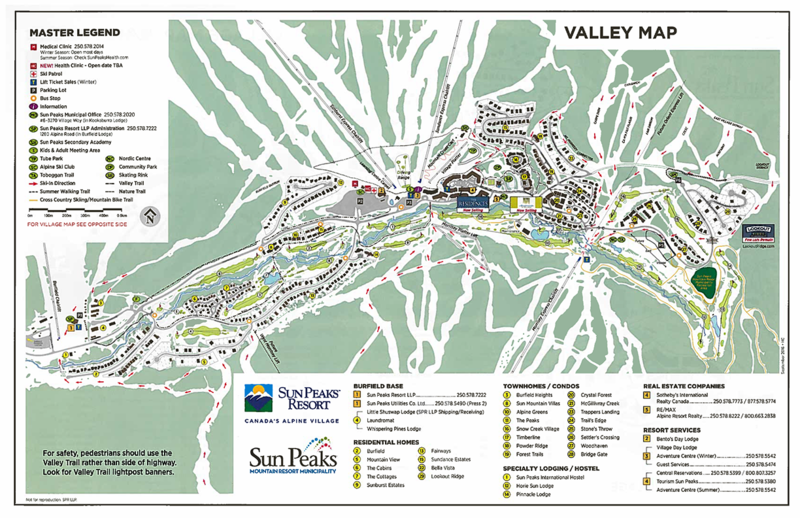 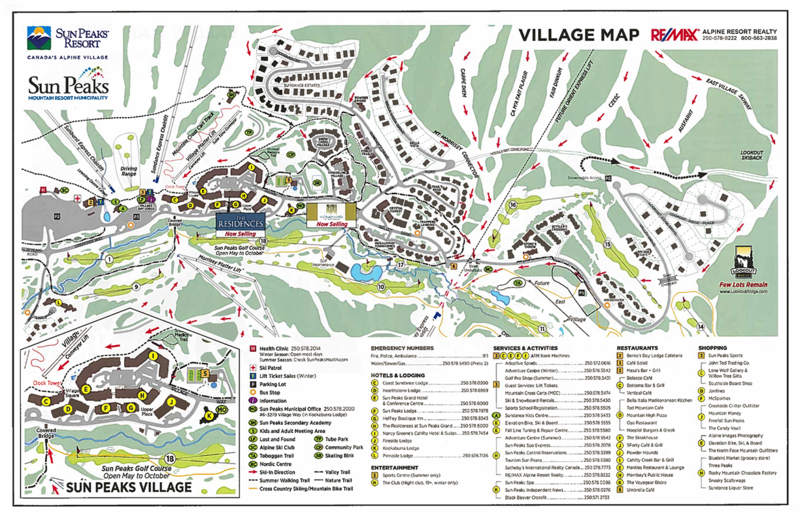 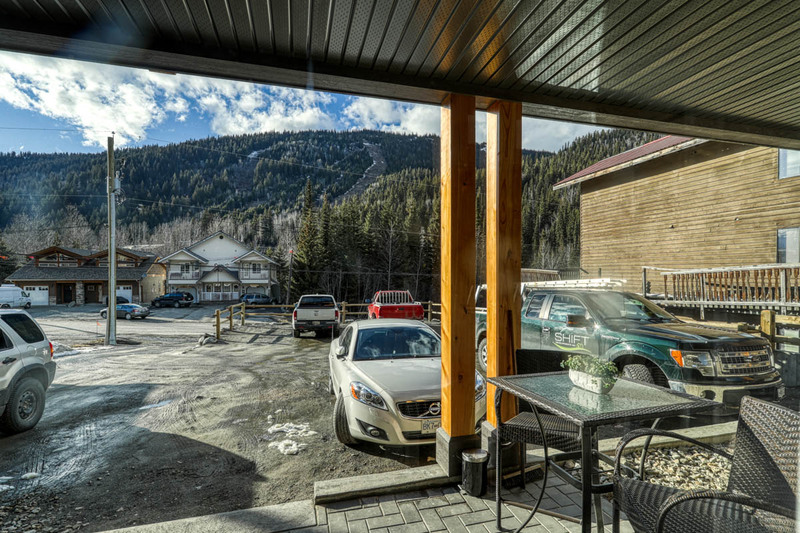 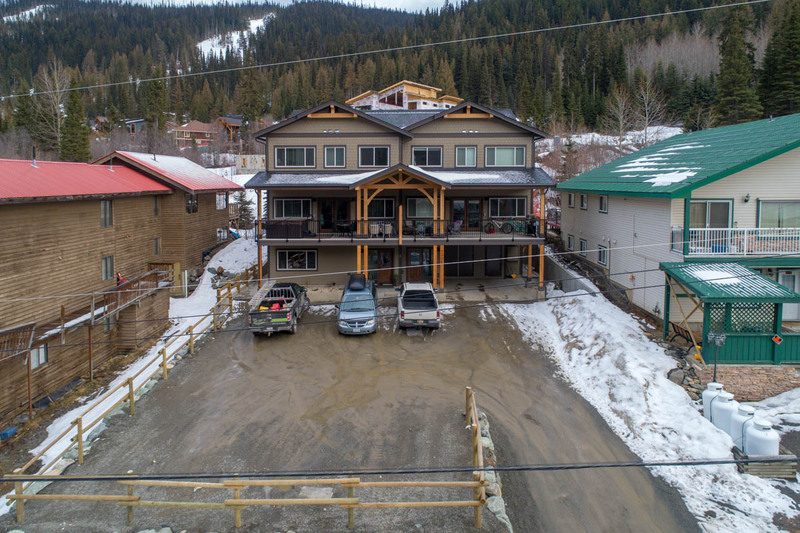 Offers easy ski-in access and is just minutes to the Burfield Chairlift and a short walk to the main Sun Peaks Village. 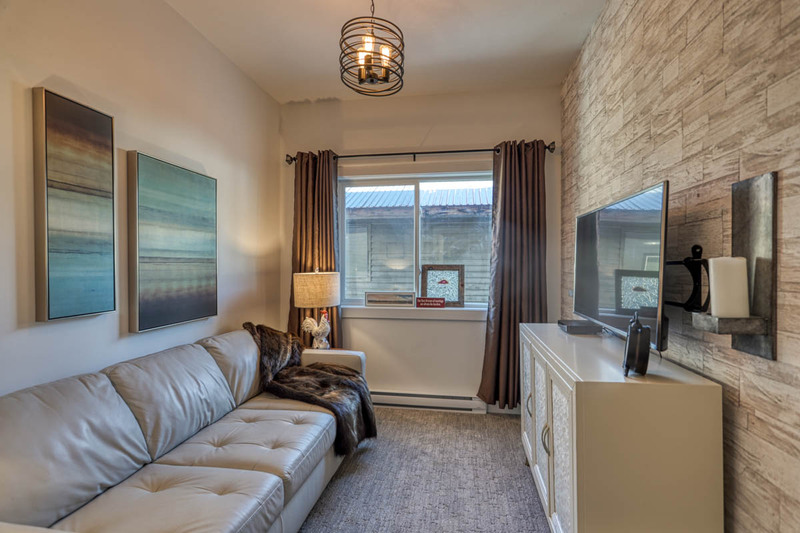 Located in the family friendly subdivision of Burfield Drive, this like new home is designed for full time living or can be used as a short term rental property. 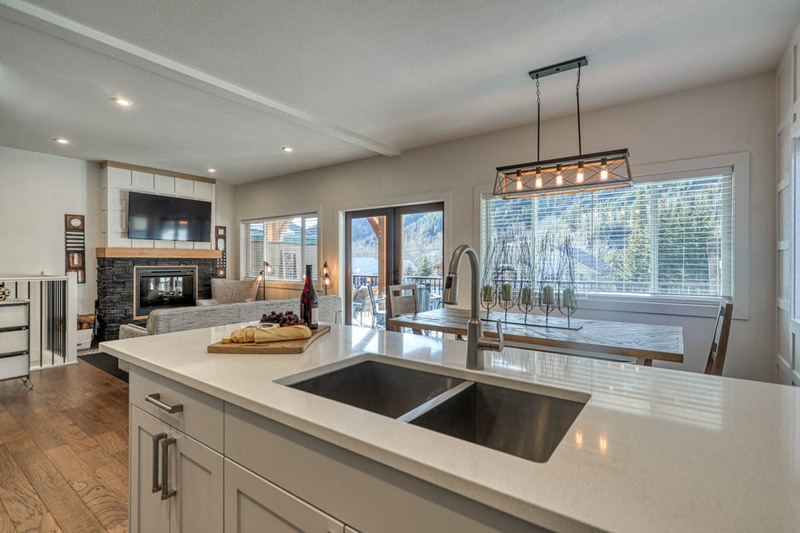 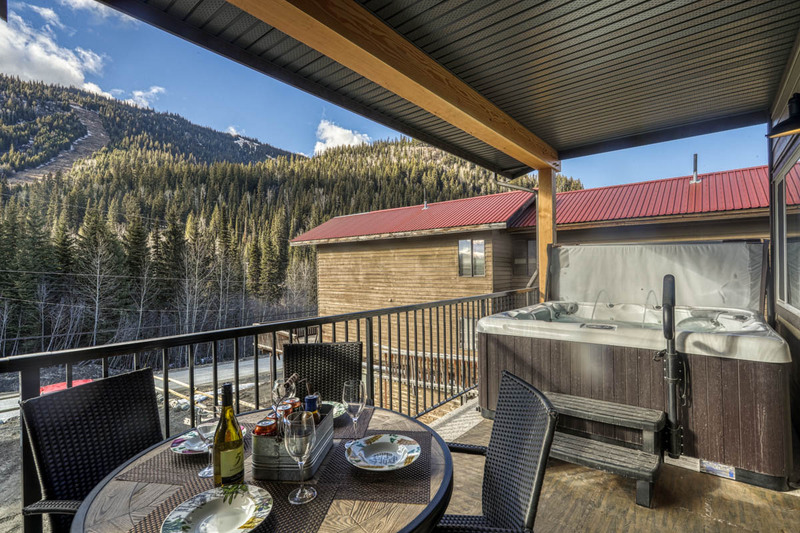 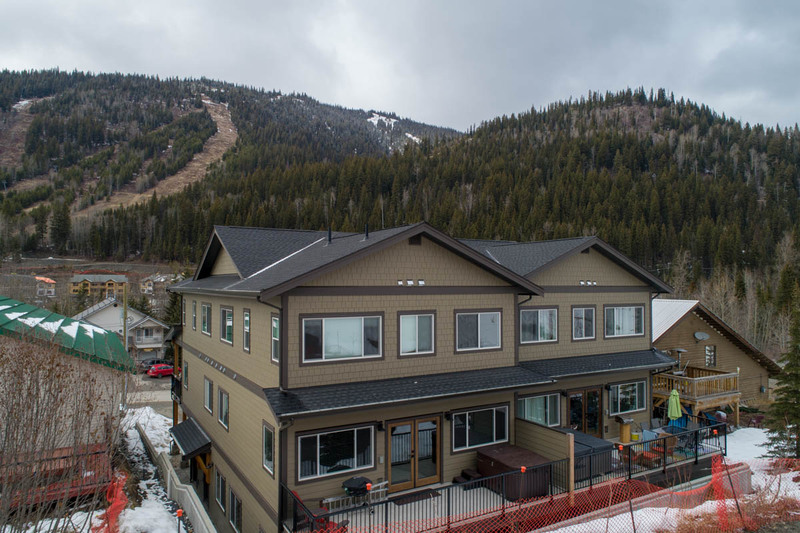 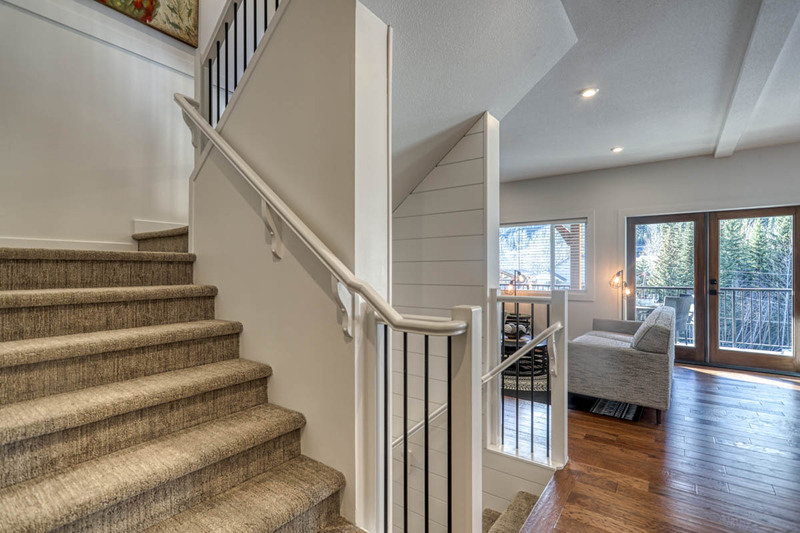 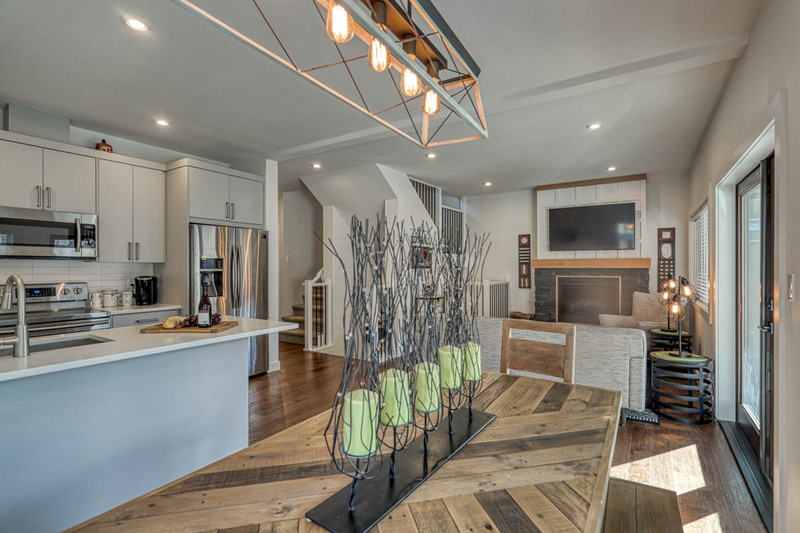 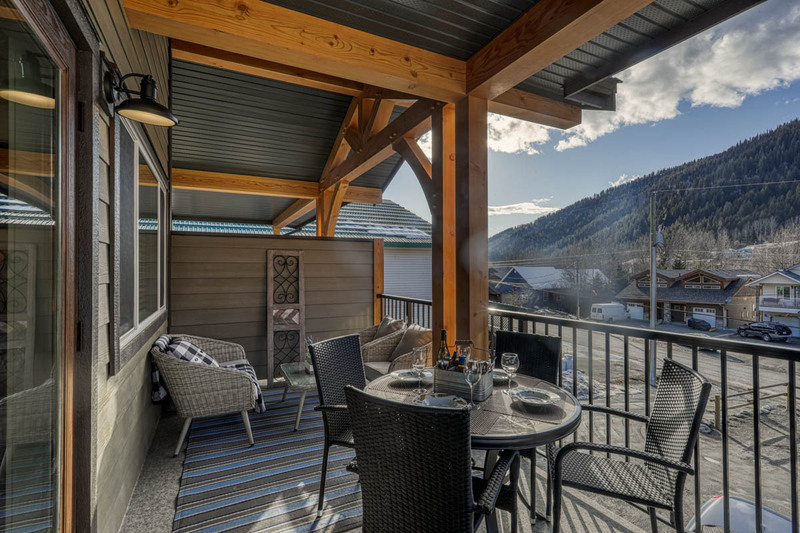 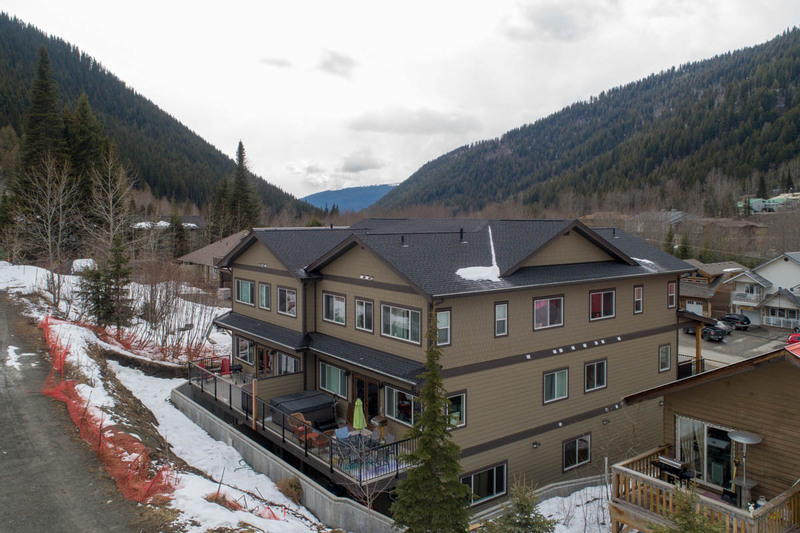 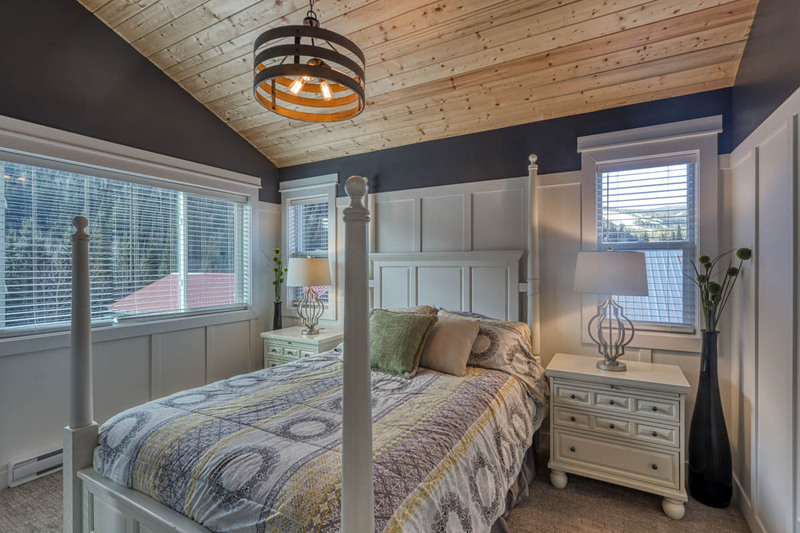 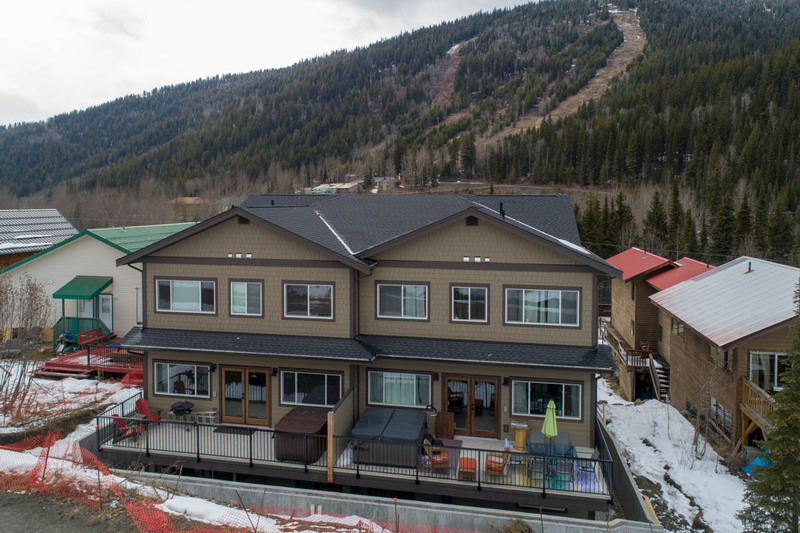 This bright mountain home features quality finishing’s throughout with beautiful hardwood flooring, modern kitchen with quartz countertops, and large covered deck with timber detail and private hot tub with ski hill views. 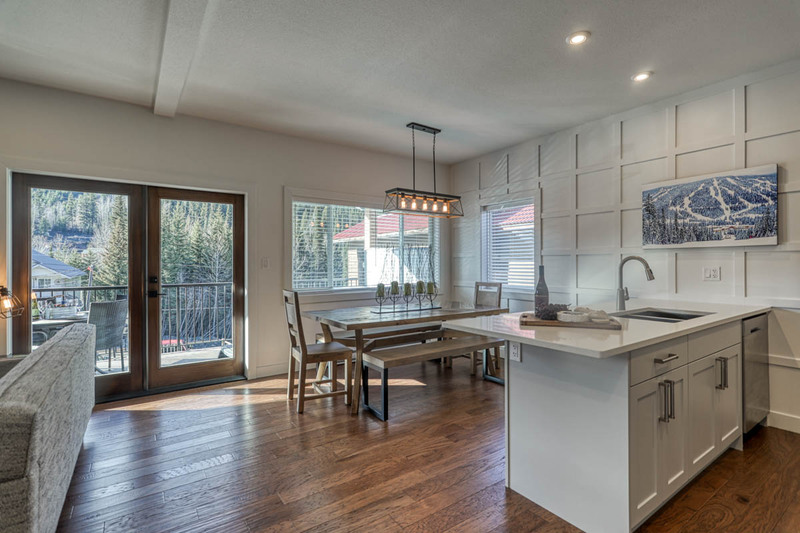 The main level is open and functional with kitchen, dining and living area with cozy fireplace allowing a free-flowing openness to family gatherings. 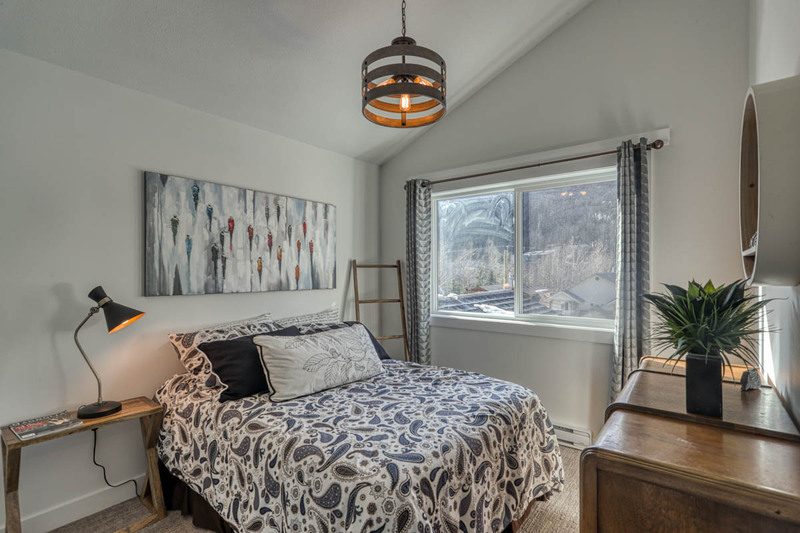 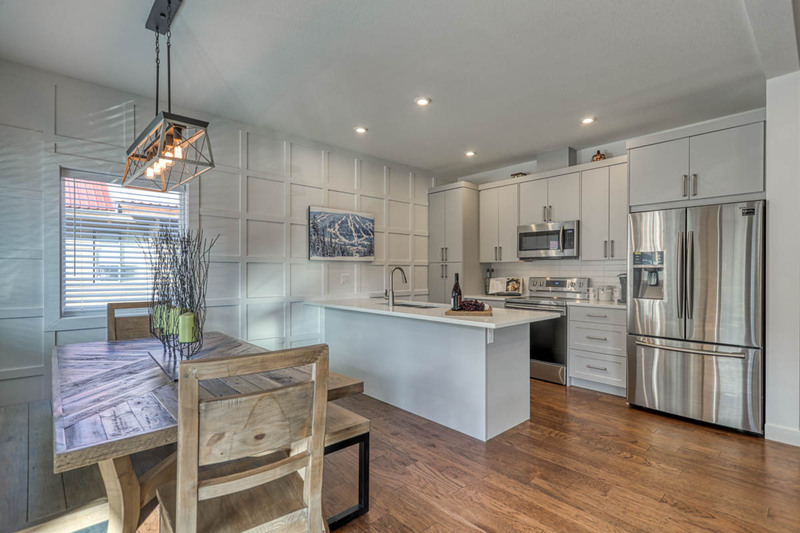 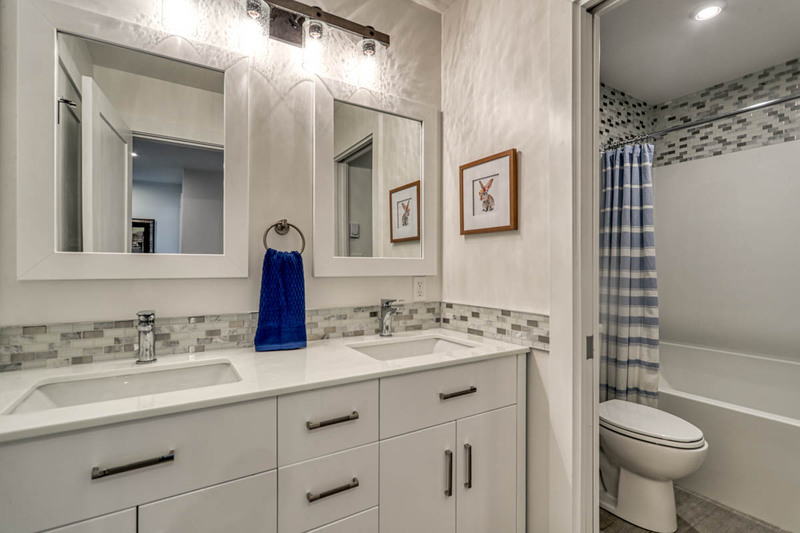 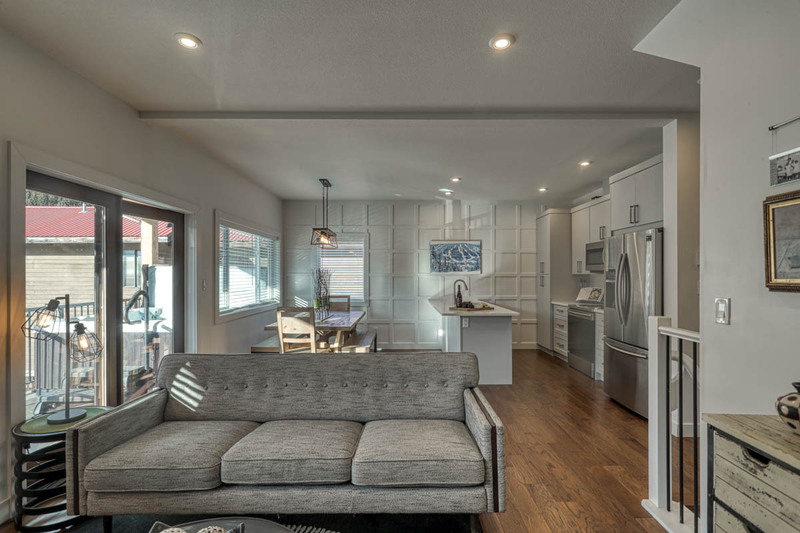 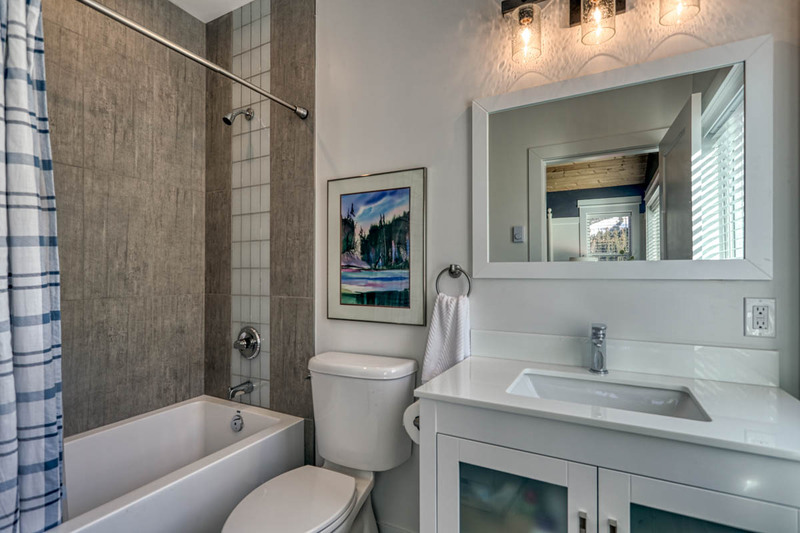 The upper level features three bedrooms, 2 with vaulted ceilings, laundry and extra storage. 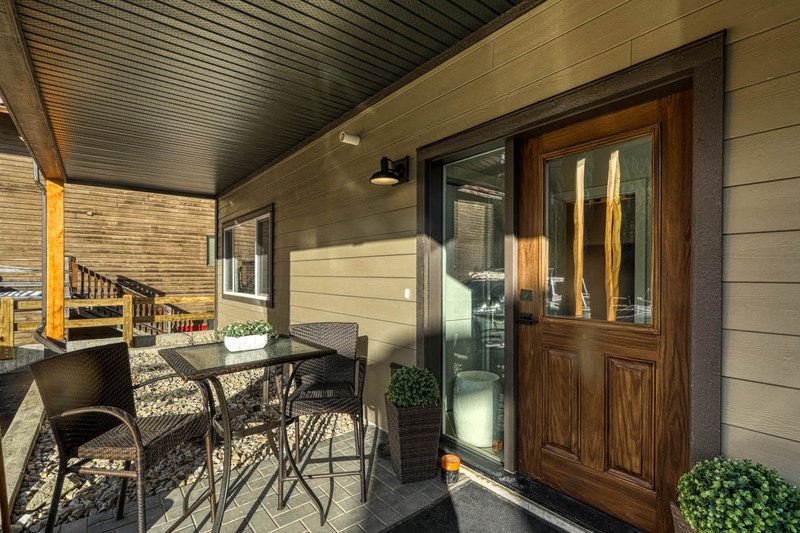 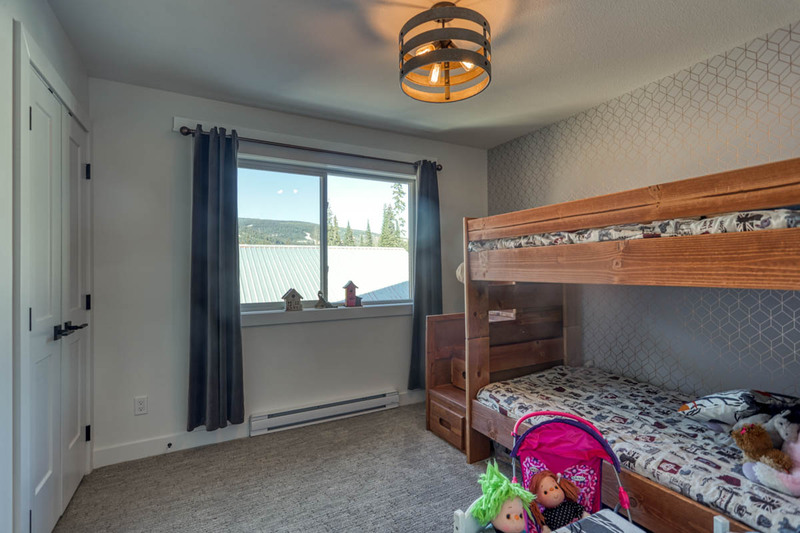 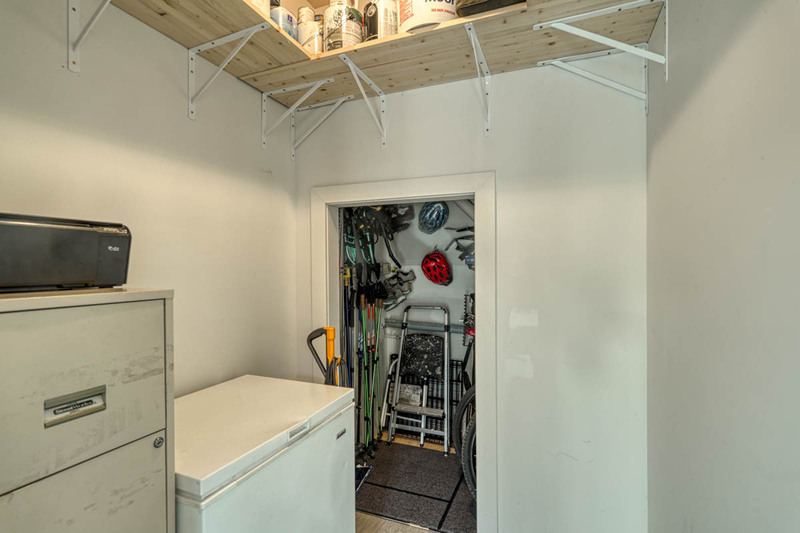 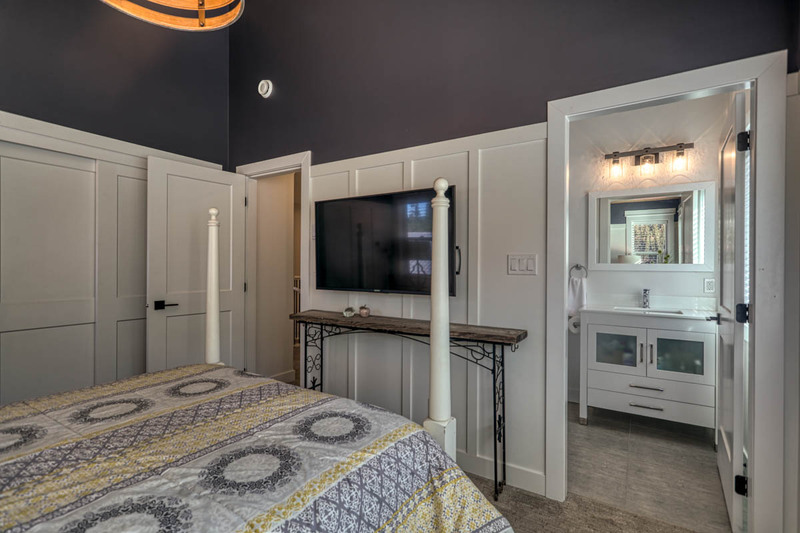 The main floor entry is roomy with additional storage space that accommodates bikes, golf clubs, seasonal sports gear and more for the entire family. 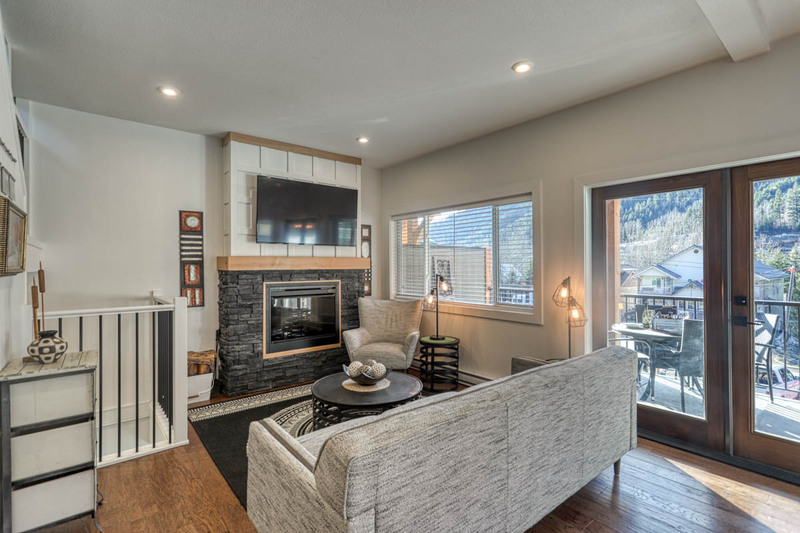 This home delivers and is offered largely furnished with GST paid.